every summer our home turns into a sort of menagerie. jerry brings home the critters from his classroom (this year 14 hamsters and a snapping turtle). not. my. favorite. especially in my dining room. we’ll work on that. but he also brought home blaze. a tiny bunny from a co-worker. 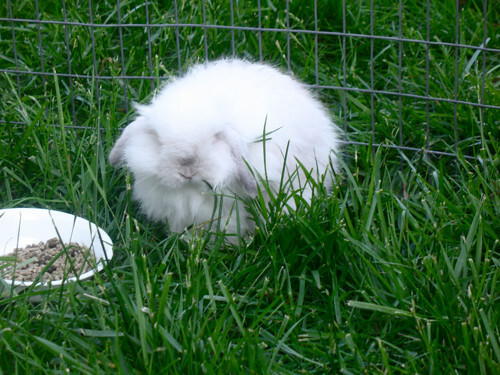 naomi has been researching breeds and was saving money for a rabbit…this one suits just fine. he is crazy calm. he’ll lay on his back and let you rub his belly. this is the only one of the new crew that i like to hold. Previous last day of school…new tradition. 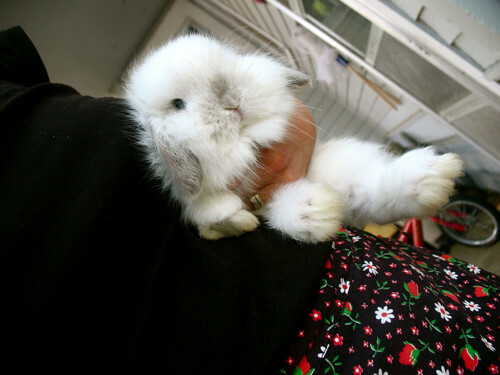 Oh no – I have to hold him. Like right this second. Ava is oohing and aahing over my shoulder right now. He looks ready for a magic show any moment. Such a sweet nose. 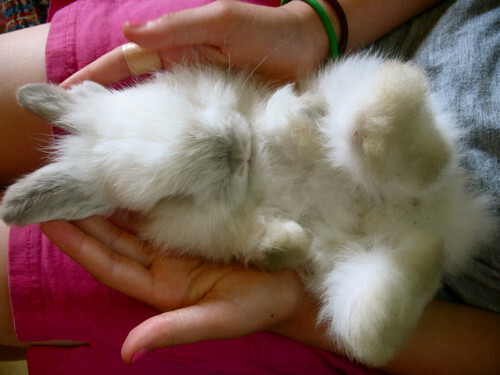 Wow, how do you find a bunny like that?? That isn’t all freaked out? 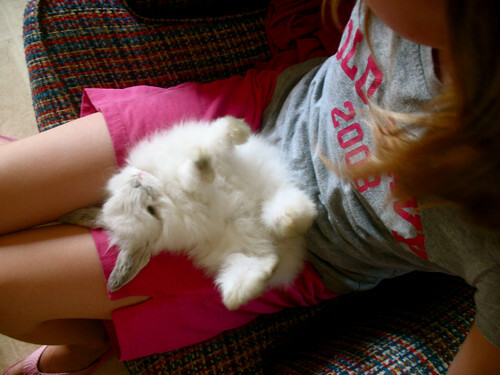 Brenna would give her left arm for a bunny. mali wants a bunny too. what breed is blaze? 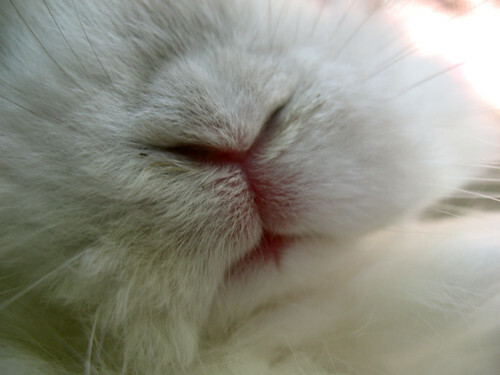 i would choose and angora to make yarn, but cuddling would be high on her list! 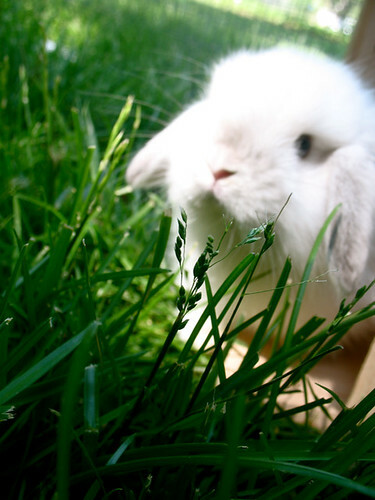 that has to be one of the cutest bunnies i have ever seen! oh my god I looooooooove him!! He looks like a schwartzkopf bunny!!!! :) Give him a big lovey kiss for me!! 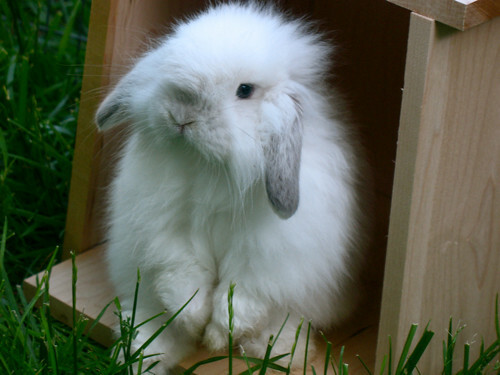 what a very cool, very cute, grumpy little bunny. what kind is he? how big will he grow? i need to know. :) thanks.